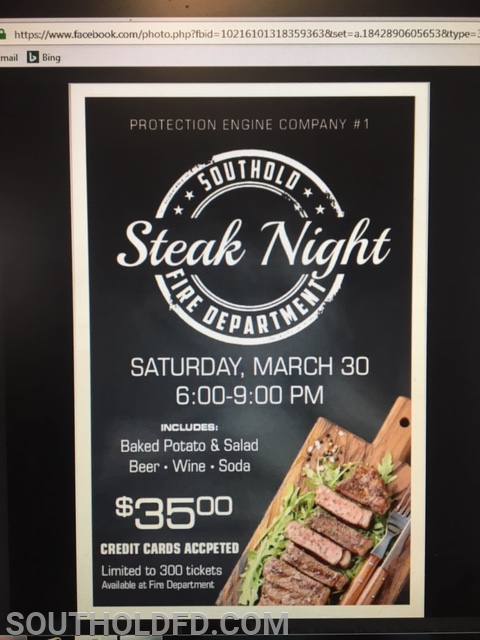 Our annual steak nite will be March 30 6-9. We hope to see you all. Tickets will be limited to 300. Available at FD or any member, thanks for your continuted support.